Pet Emergency? Call us right away at (508) 730-1112! Mass-RI Veterinary ER is a 24 hour practice providing emergency veterinary care for companion animals. Our mission is to provide a total pet health care environment with superior customer service, ensuring that the needs of the pet, the client and referring veterinarian are met. 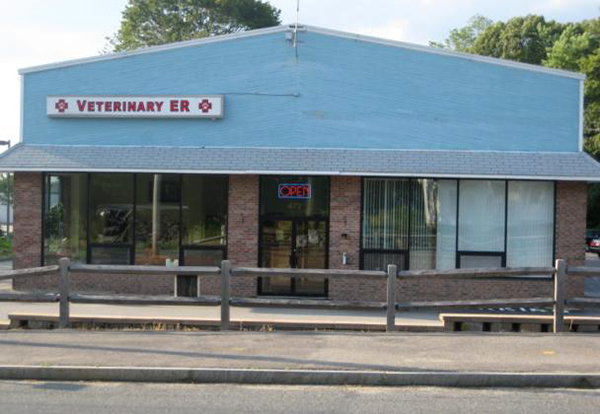 Mass-RI Veterinary ER provides 24 hour nursing care for the safety and welfare of our patients. We pride ourselves in maintaining a nursing staff that is highly skilled in all aspects of veterinary specialty medicine. Our entire veterinary staff is dedicated to providing a "home away from home" environment for the admitted patients. We are committed to helping everyone who is affected by their pet's illness. Thank you for taking the time to read about our veterinary practice and the services we offer. We welcome your comments and suggestions. Please contact us at (508)730-1112 for emergency and referral pet care. Dr. Lampe graduated from the University of Florida College of Veterinary Medicine in 1998. She completed a one-year internship at New Haven Central Hospital in Connecticut and has been practicing exclusively emergency medicine since then. In her time off, she and her husband Aaron enjoy hiking with their three dogs, white water rafting, scuba diving, paintball, rock climbing, and jet skiing. She also enjoys rollerblading and reading. Dr Burling graduated from St. George's University in Grenada, West Indies with clinical studies at North Carolina State University. She completed a one year internship at VCA South Shore Animal Hospital. In her spare time she enjoys sailing, running, hiking, kayaking, cross-country skiing and spending time with her family; two cats Elliot and Dexter and dog Oliver. Dr Kennedy graduated from Tufts University School of Veterinary Medicine in 2007. She completed a one year internship at the New England Animal Medical Center prior to coming to work at Mass RI. She lives with her husband, two children, cats Boomer and Molasses, and Rosie, a mastiff. Dr. Gluek graduated from Tufts University School of veterinary Medicine in 2012. She completed a one year rotating internship at VCA Alameda East in Denver Colorado. Since then she has been practicing emergency medicine. She enjoys spending time outdoors with her husband, daughter Harper, and vizsla Banjo. Dr. DesRochers grew up in Clinton, Ct. she graduated from Brown University in 1999 with a degree in Biology. She completed her master's degree program in Neurobiology at Northern Arizona University in 2004. She graduated from Tufts School of Veterinary Medicine in 2009. She completed a 1-year rotating surgery/medicine internship at Red Bank Veterinary Hospital in Red Bank, New Jersey. Her special interests include cardiology, neurology, and wildlife/conservation medicine. In her spare time, she enjoys hiking, kayaking, ultimate frisbee, rock climbing, and spending time with her four cats, Demeter, Ciel, Daphne, and Spector, one Colorado River Toad, 'Number 2,' a box turtle, Brittany Spears, and a red-eared slider, Ginny. Dr Will graduated from St. George's University in Grenada, West Indies with clinical studies at North Carolina State University. 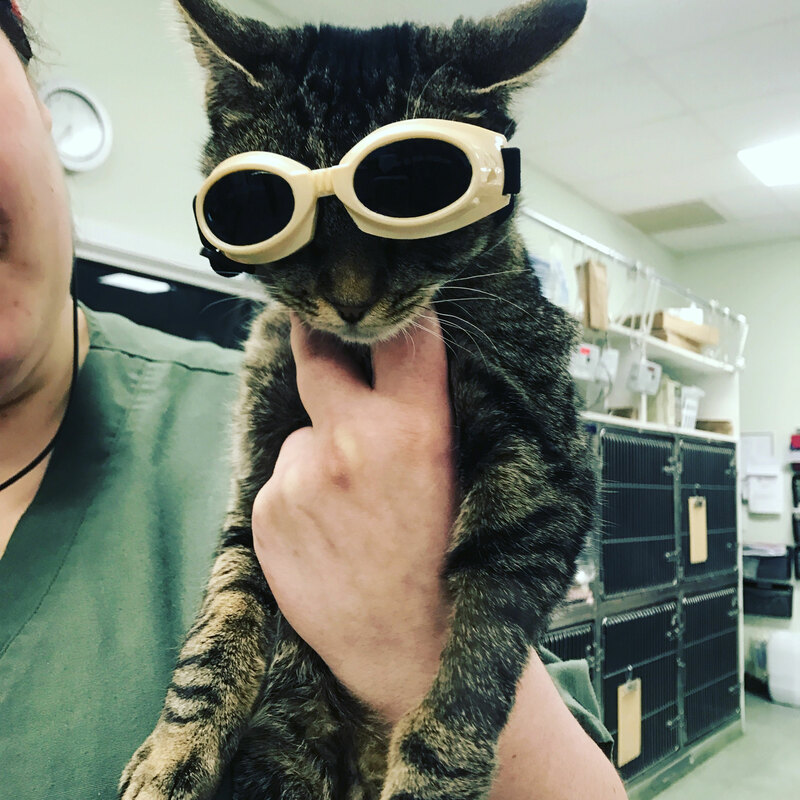 She completed a one year internship at Vetcision in Waltham, Ma. In her spare time she enjoys running, swimming, hiking, and spending time with her dog Tulip.